Work uninterrupted, from wherever you like. Writer now works internet-free, so you can take your laptops or iPads to places without connectivity—like a running train or a long flight—and keep writing uninterrupted. Don't let connectivity decide how you work. Create and edit documents offline, and even close the tabs when you’re done—Writer saves everything automatically. Once you’re reconnected, all that work you did offline syncs to your account in a snap! All your recent work, always within your reach. 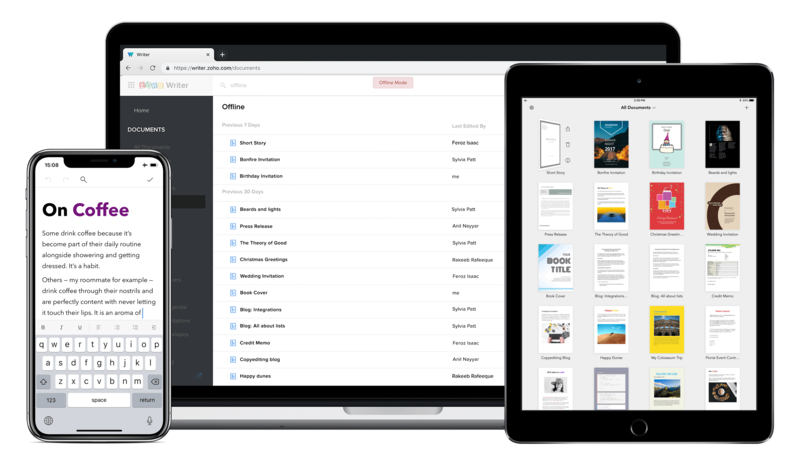 Writer Offline makes sure twenty of your most recent documents, and the new ones you create, are available offline all the time. If it's good enough to be your everyday web browser, it's definitely good enough to run Writer Offline. 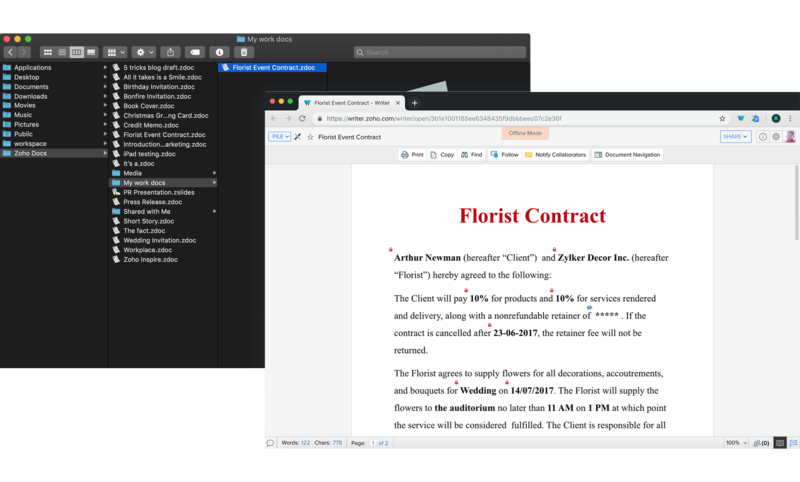 Writer Offline is also integrated with Zoho Docs Sync, our desktop sync client. Open and edit your Writer documents directly from your finder or explorer.